When, in 2006, a girl from India, Mita, got a job as an associate editor in a UK-based news agency, it raised eyebrows among her friends and family members. More than the job itself, what was surprising was the hiring process, which included her searching through an online job portal, being interviewed by phone and getting the employment contract by email to work remotely. This was a process that spoke volumes about the way technology is changing the lives of ordinary people in still-developing India. In 2006, the world had already heard about outsourcing, and India had commenced its meteoric rise to its current status as a powerful economy based on a single word, “technology”. Mita went on to work for the British media company for several years, working from home, submitting work by email and getting paid through wire transfers to her bank account, all the while never having met her employers face to face. Yes, and eight years since the publication of the book we can comfortably say that the world has indeed become flat, and India is one country which is a living, breathing example of how technology has changed the way people live their lives now. We in India called it the ICE Revolution, where the three most important sectors affected by the technology revolution, and especially by the internet, were the Information, Communications and Entertainment segments. Fast-forward, and IT, IT-enabled services and business process outsourcing generated around 9.5 million job opportunities for Indians in 2012. Neel Ghosh Dastidar, Global Business Manager, System Integration, at one of India’s top IT companies, Wipro Technologies, discusses his experience of being a part of this revolution. It’s not just outsourcing and offshoring that has changed though. Looking at the communications sector, a recent report by the Telecom Regulatory Authority of India (TRAI) said that as of January 2013, the total wireless subscriber user base in India was over 862 million people, of which around 82% are active mobile users. A similar report from the Internet and Mobile Association of India suggests there were 78 million mobile users in India accessing the mobile internet by October 2012, through a variety of devices such as laptops, smartphones, tablets and dongles. From accessing emails and social media sites, to e-commerce, search, portals, online games, videos and e-ticketing and e-banking, the mobile internet users in India have accepted their new technological tryst with open arms. But it’s not only the balance sheets of the companies in India that have changed with the blooming of technology. 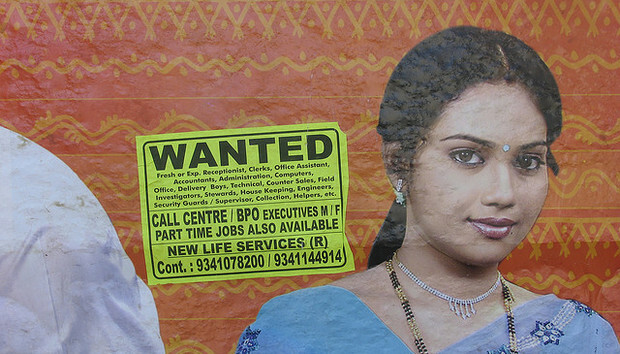 So how has work life changed for independent professionals in India? India’s ICT story is an example of this close correlation. IT development in India has gone through its development stage to arrive at a stage of consolidation. As more and more products reach the masses at lower prices, and better infrastructure connects the Indian cities and smaller towns, local economies are changing, creating new jobs for the young India. With government policies focusing on taking the lead in innovation through technology, the country is firmly thrust into the role of global service provider to the world. Moumita Basu is a freelance writer, editor and blogger, with over a decade of experience. She has a keen interest in Web 2.0, and works from her home in Delhi.